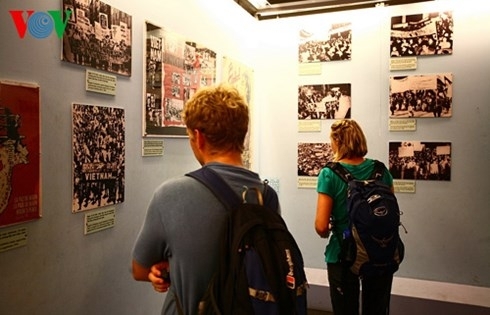 Besides 8 topics which are often exhibited, the museum has a lot of other exhibitions to serve visitors. This is an attractive destination in Ho Chi Minh for not only Vietnamese people but also foreigners, even the American. War Remnants Museum was established after the war had been finished with the aim to save heroic remnants and show the war’s dire consequences. If you wanna travel to Vietnam but don’t know anythings about things to do in dalat, you can look at in this topic. This construction was firstly called “the exhibitors of US crimes” (September 4th 1975), then it was called “the exhibitors of aggressive war” (November 11th 1990), and now its name is War Remnants Museum.The museum is a member of International Council of Museum. War Remnants Museum studies and saves the remnants of war’s crime then appeal people to against aggressive wars. In 2013, Tripadvisor – the world’s biggest travel website voted it is on top 5 most attractive museums in the Asia. There are always a lot of visitors in War Remnants Museum but we don’t find out the noise of a travelling destination. We will find the silence and contemplation here.